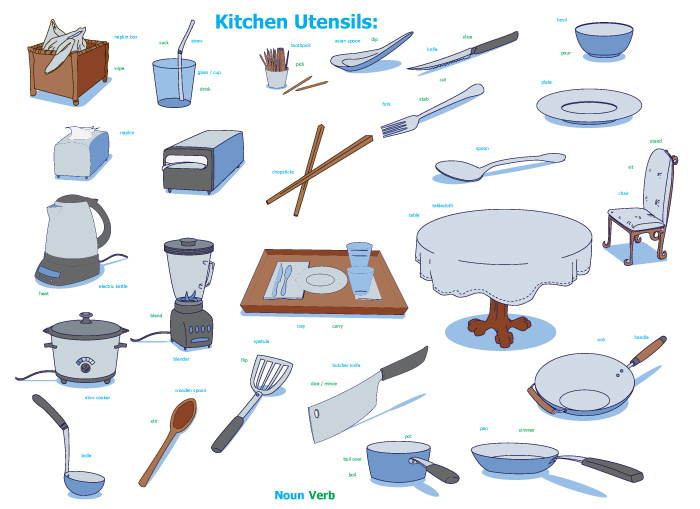 Here is a downloadable PDF of various kitchen related objects. Just click on the image above. You may notice that the Hmong words are NOT provided! This is because this is a learning activity. Use it to find both the equivalent words as well as adding your own words. Ask a native (in Hmong!) or use a Dictionary (You can find a kitchen section in the back of the full E.H. Hmong English Dictionary). Do it by yourself or as a group. Let me know in the comments below what is missing or should be added. If I get enough comments I will update it.